Announcing the first of three short introductory levels before the first main level, "RTJP: Prologue"! 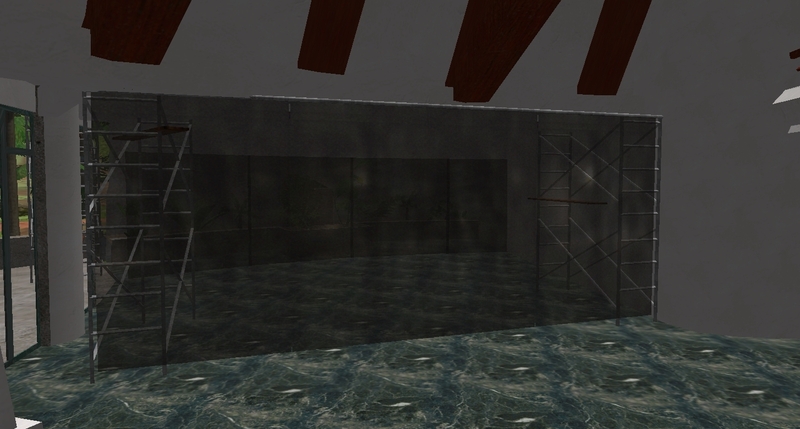 These three levels will be included in the initial release along with Helipad. This thread will be used as the development thread for all three of these levels as they are all significantly smaller in scale and shorter than the main levels. There won't be too many images of these levels as I'd like much of them to be a surprise, but there will be little tidbits here and there. Sounds exciting! I do think new Tres mods with how-to introductions is a plus for garnering new players. I'm excited to be making them! The three levels are set-up already, and work on Prologue will begin soon. Prologue itself will only be about 1/5th the size of Helipad so it shouldn't take too long - chances are it'll be finished quite a while before Helipad. I do think new Tres mods with how-to introductions is a plus for garnering new players. Well there actually won't be much in the way of "how-to" until the third intro level since, and there won't be a tutorial for anything other than the new gameplay functions, like the stamina and sprinting, healing, climbing, reloading, collecting items, that sort of thing. And of course it'll be skippable since I know a lot of people would rather just go straight to the game (like me). Huh. I strongly suggest a full game mechanic tutorial sequence - design it to be available for gamers who've never played Trespasser. You might get Nublar recreation enthusiasts that way. That's not really the point of the mod. I think most people who are going to play this mod will have played and enjoyed Tres in the past. Nublar recreation enthusiasts would get mad at me anyway for all the differences in the map that they're used to and all sorts of other stuff. I don't really think it's possible to make a 100% accurate recreation of Nublar anyway since we know so little about where everything is located - all we have is the fencing system and the location of the Visitor Center, but clearly the set-up you see in the movie can't be everything as it only shows like 6 paddocks. I think the real driving point will be actually taking the time to explore the island and getting to the Visitor Center. I agree with Draco, that this should be a reintroduction into Trespasser and both a introduction to newbies. I would do a tutorial sequence in some type of boot camp led by a drill instructor. It would take steps to learn how to climb, shoot etc. Then I'd have a area where you have to get to point A to B that could involve raptors before the tutorial ends. Hell, this could even be on Nublar during '89 with Muldoon. This is more of an expansion pack to the original Trespasser, but featuring Isla Nublar. That's definitely what I'm going for with this first level. Especially since in just Helipad alone, you explore most of the major locations from the movie. This is sort of the "nostalgia-fest" level to get all of the movie-stuff out of the way before the actual story kicks off. I agree with Draco, that this should be a reintroduction into Trespasser and both a introduction to newbies. I would do a tutorial sequence in some type of boot camp led by a drill instructor. It would take steps to learn how to climb, shoot etc. Something like that is in the plans. You'll get the option to skip this sequence if you think you know what you're doing of course. If you guys think it would be worth it to give a full tutorial as if the player had never played Tres before, I can definitely do that. Though I've always played with a completely different control scheme, which makes me think I might have to re-word some of the tutorials in such a way that it isn't specifically naming keys. Ex. instead of "Press Q to jump over obstacles", it would be "Use the jump key (default Q) leap over obstacles" or something like that. Then I'd have a area where you have to get to point A to B that could involve raptors before the tutorial ends. Can't really comment on that in the public forum, but yes, you'll get a chance to sort of run the "gauntlet" at the end of the tutorial as a final check-up on your skills. Hell, this could even be on Nublar during '89 with Muldoon. I think that would be more suited of a different mod, as it wouldn't directly play into the RTJP story. Also, as a note, the Isla Nublar incident took place in June of 1993 in this mod's timeline, which follows the movies. Trespasser's (and the novels') timeline is not canon in RTJP, although Anne's little adventure still happened a few months before the events of RTJP in 1998. It's like a whole new game, really. I'd consider a Tres expansion to be something more like Tres: Legacy, which is still very similar and features all the same mechanics. RTJP has a plethora of new things which factor into the gameplay, and like I said above Trespasser is pretty much ignored, other than the whole story of Anne crashing on Isla Sorna. It would be neat to map out Anne's route to Mount Watson on the movie's Isla Sorna map instead of the Cocos Island map used in Tres. 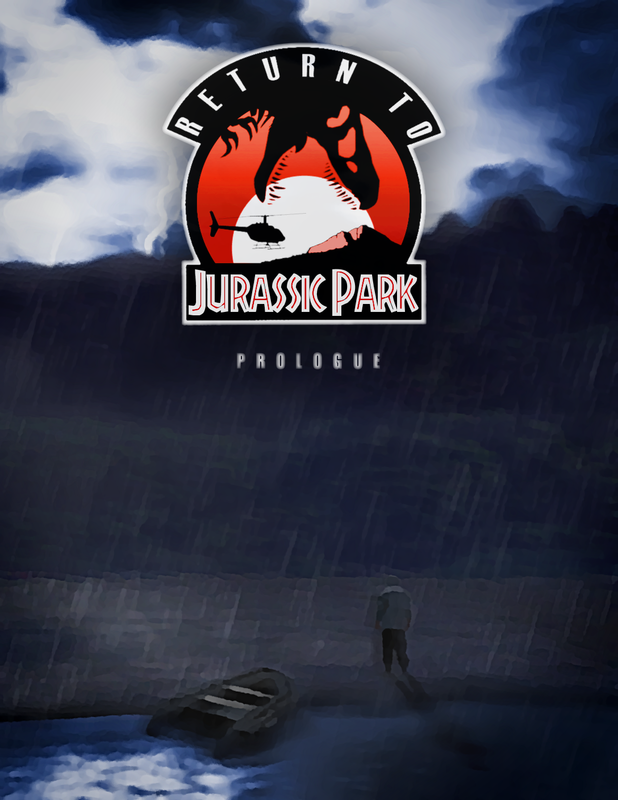 On that note, I decided to some box art for RTJP. I love it! The cover is so simple but works so well. If there were ever a "special edition" boxed release, this would be my cover of choice. It has been five years since the events at Isla Nublar, five years since John Hammond's dreams of grandeur came crashing down, and in that time the infamous park has supposedly been destroyed and dismantled, its prehistoric inhabitants wiped from the planet once more. Return to Jurassic Park is a mod for the 1998 PC game "Trespasser" set on Isla Nublar several years after the events of the first film. 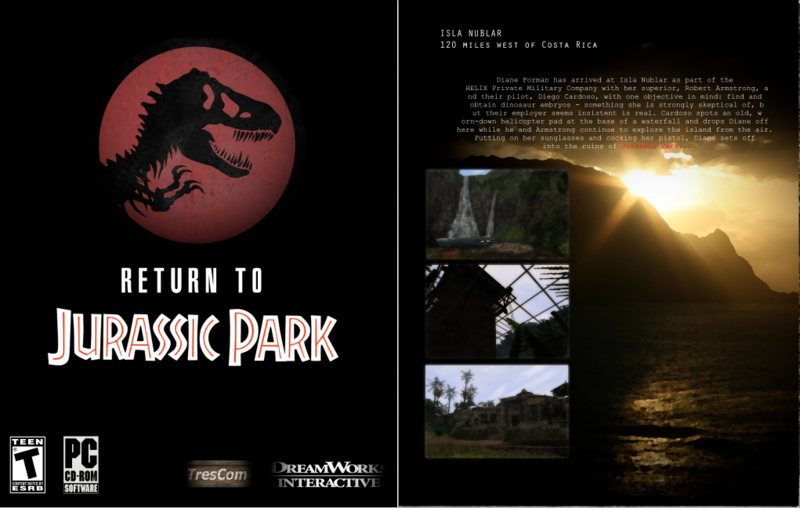 Running on an upgraded Trespasser engine, players will get to explore the abandoned facilities through several expansive levels covering the entire island, while at the same time searching for weapons and supplies as well as solving challenging puzzles; encounter a wide range of dinosaurs, from the tiny compsognathus to the massive aquatic tylosaurus; and uncover a story unlike any previously presented in a Trespasser mod. It's still like a 10/10 in my book, though. Mind if I upload it to Moddb as well so that others can see it? Sure go ahead, I even made a ModDb banner in case you wanted to use it. Very nice, Krit. I think I'm going to stick with the current banner, but I might be able to find a place for your banner as well. I'll save it just in case. Reminds me, I haven't even released a screenshot of the JP gate in the current level...will have to get that finished up soon. I was playing around with your ancient 2013 build and I noticed you didn't add the 'T-Rex' break-in point in the VC. I instantly thought 'the T-Rex must of had a hard-time squeezing in' lol. That's hppav's doing, as his version of the VC is fully intact. I honestly still have no idea how the Rex is supposed to have made its way in there, and how we're going to make it look right. It seems unlikely that it just smashed through the walls as they're made of very thick concrete. The only thing I can think of is that the Rex smashed through the thinner concrete around the side doorway as well as the gray double-door itself. 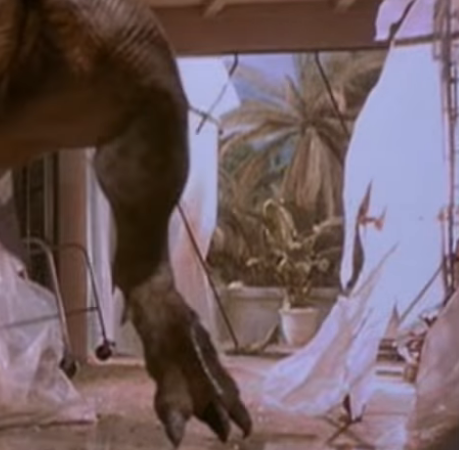 You can sort of tell by the set design that the ending was changed at the last minute as realistically there is no way for the Rex to get into the building. Looking at it, it looks like some kind of patio actually instead of a 'break-in' point. 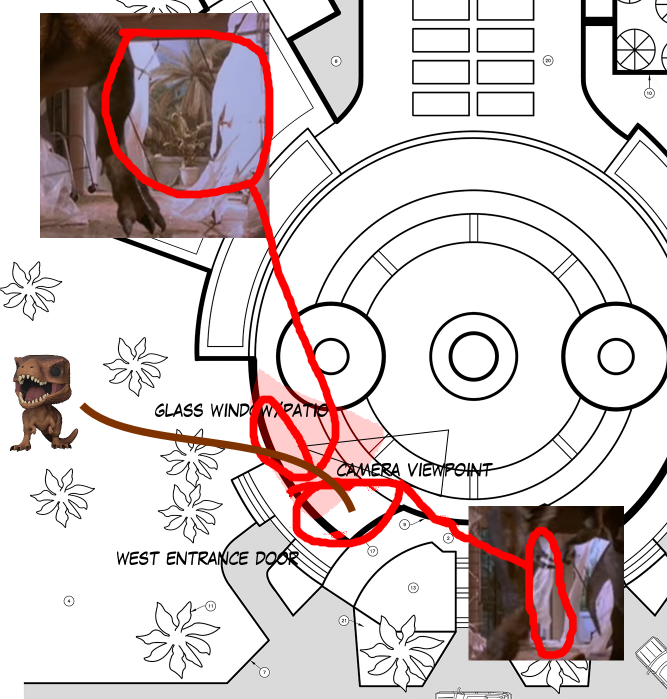 Now I have an possible idea for a solution, the west entrance has assumed to be where the T-Rex enters but what if there was a large glass door/window next to the entrance. EDIT: The camera viewpoint was wrong, should be facing the Rex in the middle of the patio/door fork-pint but you know what I mean. It's fairly close to hppav's design but it's more of a hall into the west entrance instead of featuring a window. I see what you mean, Krit. It might be possible to sort of fudge it by having the patio located behind the building, and the glass window along the back wall rather than the side. The big problem is that you get a clear view of the exterior of that side of the building in the movie and there clearly isn't anything like what exists inside of the building. Your concept looks like it might work, though, since I don't think we ever see the window which would be smashed as it would be behind the building instead.